YACHT SALES, we are in constant need of fresh inventory, please inquire with any of our experts bellow. B.L.M. 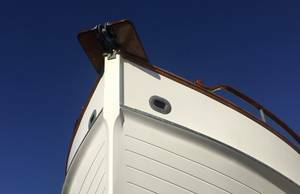 YACHT SALES Ltd. is a family business that has grown considerably. Over the years we have learned that the majority of our business comes from repeat clientele and referral. In a changing global economy we have also become known as a trust worthy exporter to all corners of the globe. We would be honored to put our contacts to work for you. Borden Light Marina in Fall River, MA, a short 15 NM from busy Newport RI and 17 NM from the Atlantic Ocean. 281 Franklin st. in Historic Bristol, RI, just a few miles across the bay from Newport. Price dropped 10K. 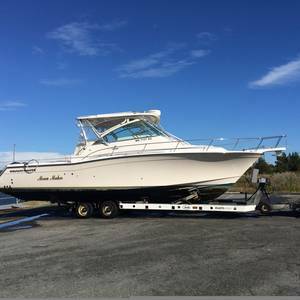 Seller is getting out of boating and motivated to sell. Twin Cummins diesels with 1,400 hours. Very well maintained and cared for. 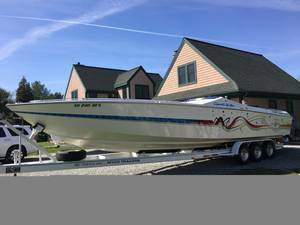 Turn key and ready to fish or cruise. Many updates over the years. Easy to show.